【Updated 14/12/2015】Cute, Cutie, Cuteness overload! 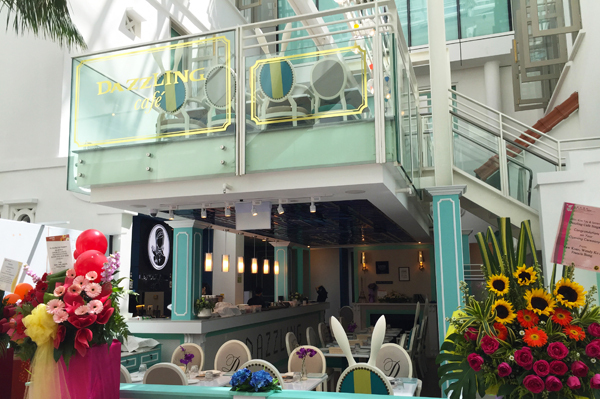 From now till 14/02/2016, Warner Bro’s Tweety Bird will be displaying its cuteness at Dazzling Café Singapore! Homegrown Mediac0rp artist Shane Pow was the guest artist to launch the #DazzlingxSweetyTweety series. A series of Tweety themed food such as Tweety Lava Chocolate Toast ($14.90) which was essentially the same toast, same price launched 3 months back, with a Tweety cocoa powdered stencil and piece of paper. Only 1 mains was introduced in the Tweety series – Tweety Mac & Cheese ($22.90) which was creamy and pretty decent. Only part that was Tweety- inspired was the piece of paper though. 3 drinks – Tweety Sweet Valentine ($7) was refreshing, Tweety Mocha Slushie ($9) and Sweety Tweety Latte ($7）were available. Tweety Profiteroles ($8.90) were plump and filled with custard, and as the name implied, SWEETy. Watch the video to see the food on display! 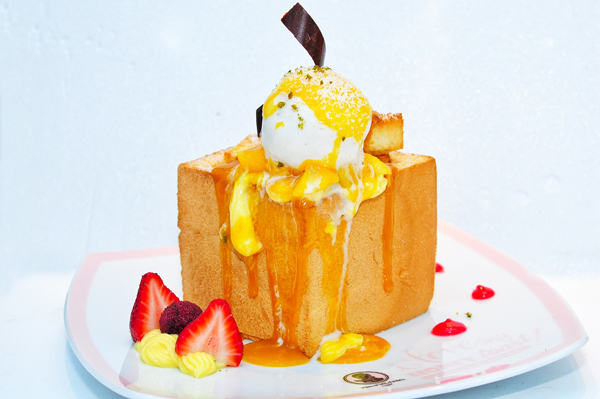 【Updated 22/09/2015】With the release of Lava Toast in Taiwan Dazzling Café, Singapore franchise had released it on 21st Sep too! 3 flavours were introduced – Chocolate, Peanut Butter and Cheese. We got our hands sticky (due to the lava) while munching on these golden crusted breaded toast. The Chocolate Lava Crispy Toast ($14.90) was the most expensive among the 3 new toasts released and tasted better than the rest. Sandwiched between the toasts was a layer of molten chocolate (lava that doesn’t flow), but gave the toast some moisture. Taste was pretty well balanced. The Peanut Butter Lava Crispy ($13.90) was slightly disappointing. The peanut butter was rich but abit thick and could be a little jelat towards the end. Tasted just like my Mr Bean peanut butter kueh. Original post: Instagram- worthy desserts, Pretty Chambermaids （女仆）with Taiwanese accent, Tiffany Blue deco. That’s what attracted us to join the queue when Taiwanese Brand Dazzling Café landed itself at Capitol Piazza. 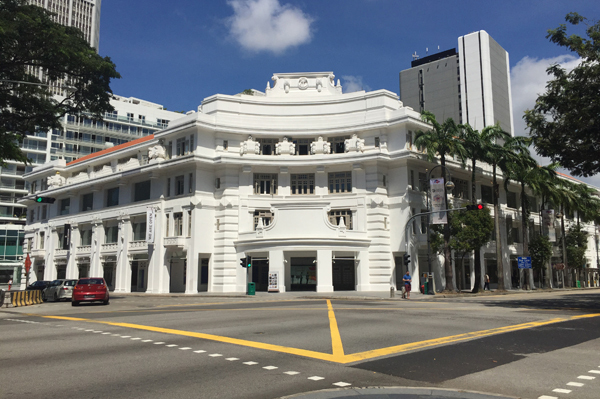 We expected the queue to be much longer, after hearing news that people started queuing at 8.30am on the first day of soft launch when it’s supposed to open its doors at 12 noon. The queue increases at a slow pace on a weekday afternoon, and diners were only allowed into the café every 3 minutes in small batches. We were excited to see the chambermaids in their aprons serving us since we don’t get many theme- based cafes in Singapore. You can easily spot the Taiwanese among the Singaporeans with a cutesy accent and battering long fake eyelashes at you when they take your order. Their menu was pretty comprehensive with mainly pastas as their mains and their Instagram- worthy Shibuya Toasts and Waffles. Menu comes with pretty illustrated pictures so you can expect what to get after ordering. 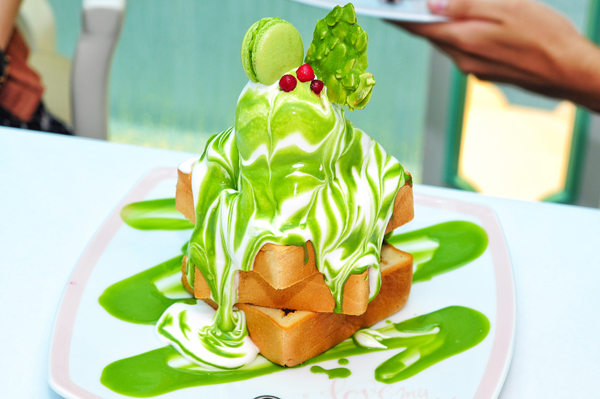 We went ahead with their Prettiest Matcha with Azuki Honey Toast ($19.90++) with shimmering green matcha and white cream. Their 4th Generation Toast came with a segmented exterior crust and dice- shaped toast in the core. We were allowed some time to take pictures of the Toast before requesting them to cut it up for us. They know us best, taking food pictures BEFORE our meals. The matcha taste could be stronger for Matcha – lovers like us. 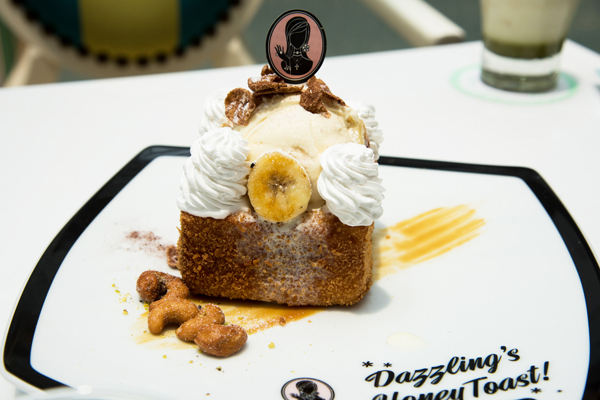 Singaporeans get to enjoy our very own Singapore version toast that was not available elsewhere: Mango and Coconut Gelato Honey Toast ($18.90++). This 3rd generation toast did not have a segmented crust. Instead we get to choose the normal or crispy toast version. Similar to the 4th Gen toast, the core was sliced into diced shaped instead of the elongated shape found in 1st Gen toast. Surprisingly, simplicity at its best, we enjoyed the simplest looking Cheddar Cheese Danish Honey Toast ($17.90++) the most. 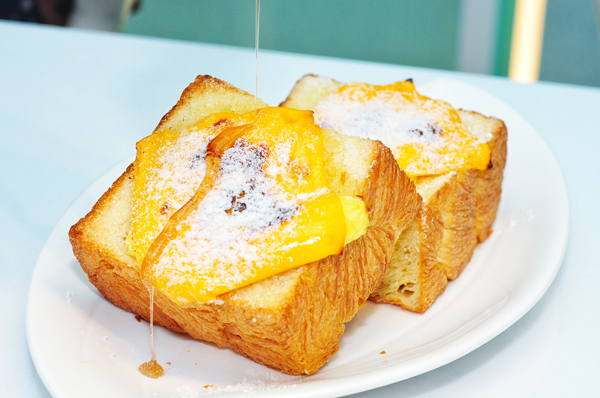 Coated with butter, sugar and cheese, it’s the atas version of the normal toast (jiang tao lou ti) we had at home. The safe choice and the familiar taste always works, at least for us. Waffles come in blossom shaped with 8 segments. A single segment will look like a petal whereas a double segment will look like the shape of a heart. 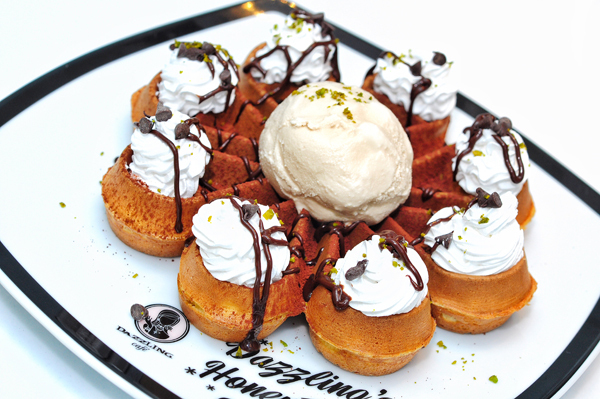 The Valrhona Chocolate Waffle ($12.90++) comes with Mochi toppings (additional $2) or a Scoop of Baileys Ice cream (additional $2.50). The waffle was slightly dry and dense, not the crispy version that most people prefers. The added mochi toppings gave it a chewy texture that we loved it more. Of course, the Baileys ice cream was well- complemented and we would love the waffle base to have a stronger chocolate taste. We overheard an interesting conversation next to our table. 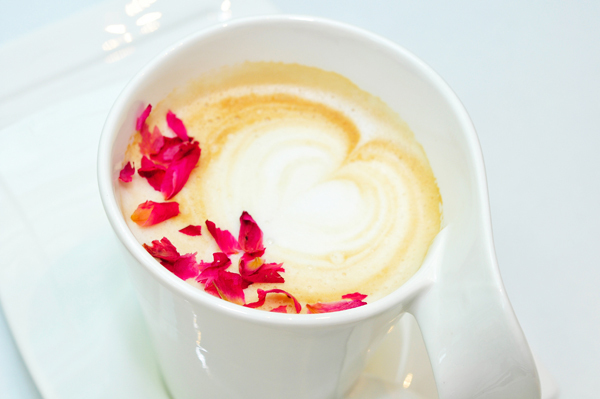 Daughter: Mum, this Rose Latte ($8++）smells nicer than you leh. Mum (with a look-of-disapproval): Smell so nice why still got so many houseflies? The houseflies in the area could be a little aggressive, finding ways to photobomb us when we were trying to take our #ootd and #selfie pic. Some of our friends prefer the savouries to the desserts. 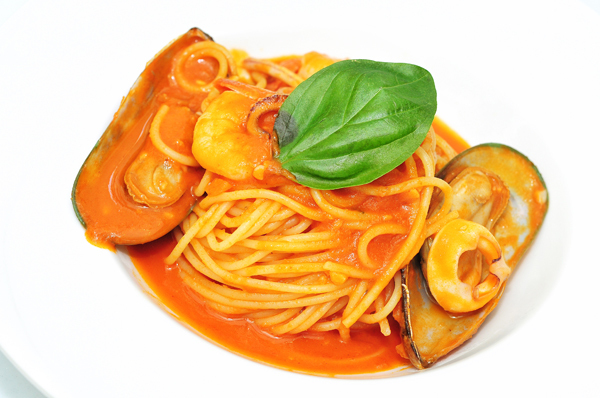 The Spicy Seafood Tomyam Tomato Spaghetti ($22.90++) which is exclusive to Singapore could do with a bit more punch. 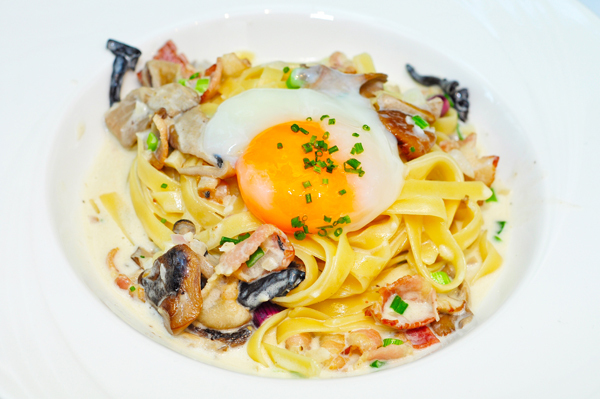 The Bacon and Mushroom Fettuccine ($18.90++) were pretty light whereas we prefer it to be stronger. The 63 degree sous vide egg was pretty well done though. Dazzling Café proved to be promising for a start. We look forward to seeing a more robust menu since their desserts prettiness already win liao.